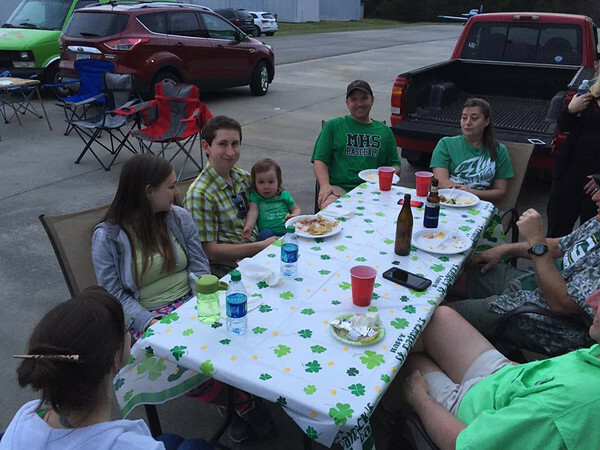 The whole fam piled into bubbles and off we flew in some nice afternoon skies to attend the St. Patricks Day party at Falcon field with our squadron buddies. Great food and company as always! A few buddies and I were talking about how long since it has been since we've gone scuba diving, so we decided to fly down to Key Largo and enjoy the ocean while it was still a pleasant temperature. There were 5 of us and we lucked out because Luke was already going to Orlando for a business thing and he became the mule for a lot of our scuba gear. 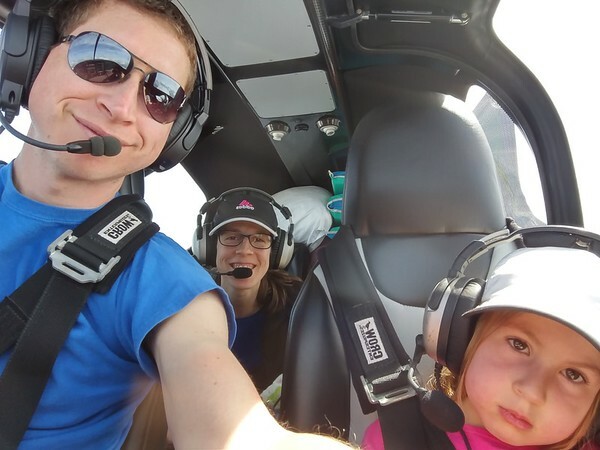 We were able to offload a big chunk of weight so the four of us flying in the RV10 with full fuel and a little baggage was just right. 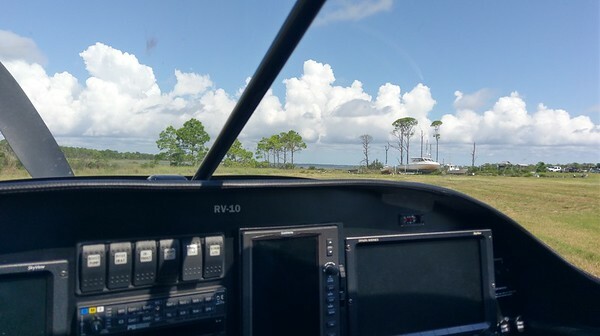 We were going to fly non-stop to Homestead(X51) but were tempted by really cheap fuel prices out of Everglades Airpark (X01) just a quick hop nearby, so we went there first. The little community at Everglades was really neat looking from the air. We rented a mini van and a really cool AirBnB house to stay at. The first night we played cards, had strong drinks, and had a really fun guys night, which is a rare treat for this parent of a 4 year old. 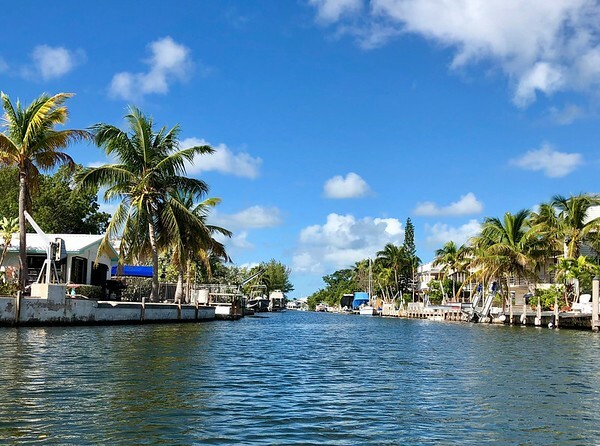 We enjoyed Kayaking the canals of the neighborhood, which had gorgeous homes. We did 4 scuba dives over two days with a dive shop we have used before, Silent World, and it was excellent. The first day the swells were rather large at 5-6 feet and 3 of my buddies puked overboard, which was highly likely exacerbated by the bourbon the night before. The diving was fun as always and we saw a bunch of neat stuff typical of that area including sharks, barracuda, eels, lobsters, tons of corals and etc. It had been a couple years since I last dove so it was really awesome getting out there again. We ate out a couple times, but mostly we all pitched in cooking gourmet meals. Justin is a hell of a cook and was the master mind on most of it. The last night we had a crab leg and shrimp feast with risoto arancini, roasted corn with some type of delicious sauce that I cant remember the name of, broccoli, and of course a few more strong drinks :) We ate very well the whole time. The fun was over and it was time to get back to normal life. We enjoyed a great view of ATL with clear skies and clearance to go over the top of Hartsfield Jackson at 4500'. Another great adventure in the books! 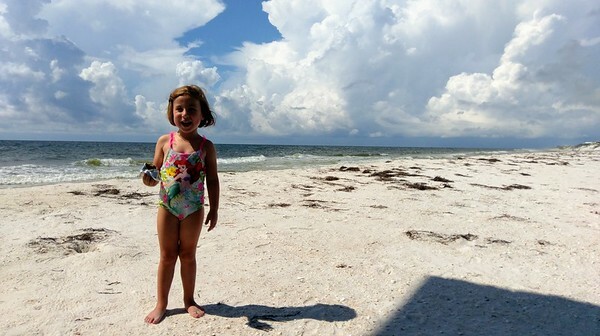 Since last week Lucy has been asking to go to the beach several times. I'm not sure where she got it in her mind that she wanted to visit a beach - perhaps an activity at school, or a friend has been talking about it, or who knows. It took me a couple days, but then I realized, hey why not? Its an hour and a half away in the adventure machine, so lets do it! Lucy sat up front with me and Sunday morning around 9am we departed Kennesaw, GA for Dog Island, FL (FA43). It was a pleasant flight at 10.5k feet with a mild 8kt tailwind. 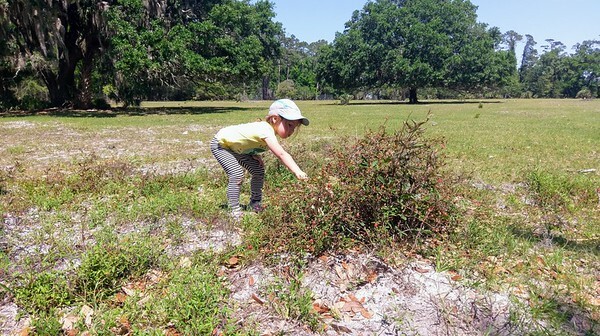 I didnt bring any electronics or toys to keep Lucy occupied, so we did entertainment the old fashioned way and practiced counting to 100 and played other games, like hide and seek (seriously). She drew on some of my IFR sheets with a pen and she even asked if I wanted her to sing some songs for me. The 'are we there yets' started about 45 minutes into the 90 minute flight. "See that huge cloud out there?" I said. 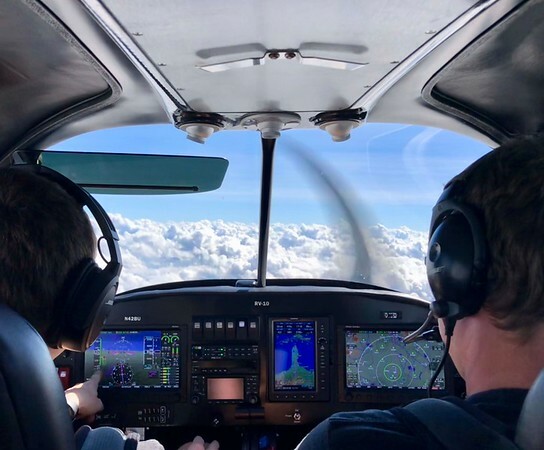 "When we get to that cloud, thats when we'll land at the beach." That finally satisfied her and gave her something more tangible than a number of minutes or nautical miles. There was a huge towering thunderstorm cell about 10 miles downwind of our destination that I was watching like a hawk. It wasnt going to be an issue so we pressed on. We circled the island, buzzed the 2700' grass strip, then came in for a nice smooth landing. The field condition was good. A little bumpy like grass tends to be, but in good shape. We turned off to parking and jumped out and started getting ready to walk about 100 yards to the beach. I had specifically chosen a field that car rental, and all that, wasnt going to be necessary. We paid a $10 requested maintenance donation into a locked box after running from mosquitoes the size of bumble bees that were swarming us near the high brush near our plane. Fortunately the breezy beach was 100% bug free and the weather and water were absolutely perfect. The beautiful white sandy beach was pristine. We met some Sikorsky S92 pilots when we first got there, but otherwise we enjoyed the entire beach to ourselves the whole day. It was the heli pilots first time at the beach too. They had rented a boat and were walking down the beach with one of their sons. I pointed out a crab and Lucy poked at it with her finger a couple times not believing it was real. It sprung out of the sand and scurried about 3 feet over and glared at her. She squealed with delight. We swam in the ocean and I was really hoping she wouldnt be a wuss about the light seaweed, or the waves, or any number of things she could be a baby about. She was a trooper and brought a huge smile to my face when she kept asking to go out deeper and deeper into the ocean, all the meanwhile waves occasionally smacking into us and salty ocean water wetting our faces. I had to do what I call the 'marine rifle' procedure to her a couple times when we were playing in the water. I held her up out of the water while I held my breath and waited for the wave to pass. The waves wernt strong but I was trying to ride them on my back with her riding on me like a surfboard, without much success I might add. She was a champ the whole time and we had a blast. She chased birds down the beach, ate snacks, and we enjoyed a nice deli sandwich we picked up at the store before we left. Lucy drank her special kiwi strawberry carbonated (sugar free) beverage, which may have been one of the highlights of her trip. She doesnt usually get anything besides water or milk, so this was a special treat for her, which also kept her hydrated. Pound for pound she probably drank the equivalent of me drinking about a 2 liter. I kept pestering her to be careful not to get sand in the drink, but I'm convinced she drank about a quarter teaspoon of beach sand. After a few hours of fun in the sun, we packed up and ran through the field to our airplane to minimize mosquito exposure. There was no one around to see it, but I bet it was a hilarious spectacle with me running towards the airplane shouting at Lucy to keep up and we have to keep moving. I slung our backpack and mostly sand free towel in the baggage compartment like bears were chasing us. I tend to overreact to mosquitoes because I hate them so badly. We quickly jumped in and I closed the door. It was so hot. "Daddy, I cant breath," Lucy fussed. 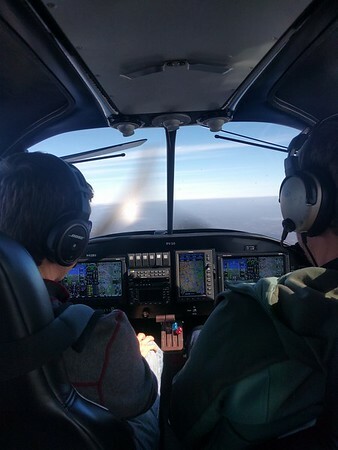 We cranked up the airplane and quickly took off in about a 1300 foot per second climb up to 11,500 feet where the air was a nice 48 degrees. The cool air felt incredible. Lucy was asleep before we even made it past 6,000 feet. Wore out from our beach trip, she was in a deep sleep that I wished I could join her on. I put on an audio book and enjoyed a nice flight back home. We lived happily ever after. 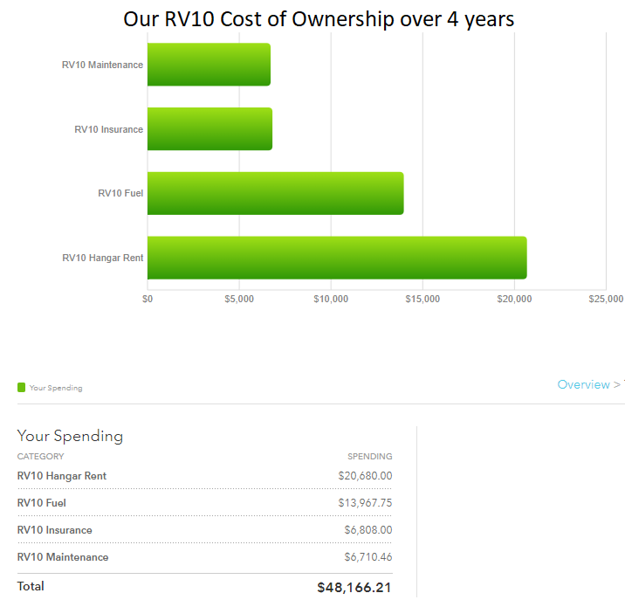 Over the last 4 years we have averaged $12k per year on all expenses for our RV10. 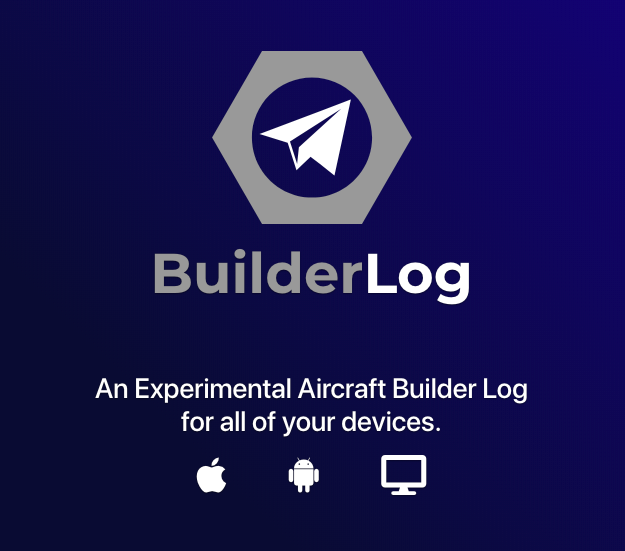 This includes Fuel, Hangar, Insurance, and Maintenance. This is for an average of 82 hours flying per year. This comes out to about $147 per hour without factoring in any money set aside for engine overhaul one day in the far future. It's startling how much we spend on hangar rent, but the options are limited around here if we want to be within 15 minutes of the plane. 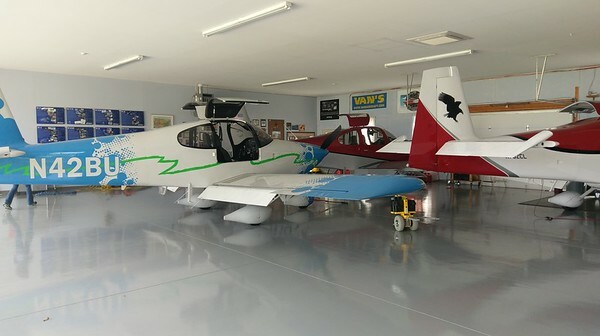 One of these days we'll end up at an airpark and roll that hangar cost into a house. I meant to post this a while back, but better late than never. 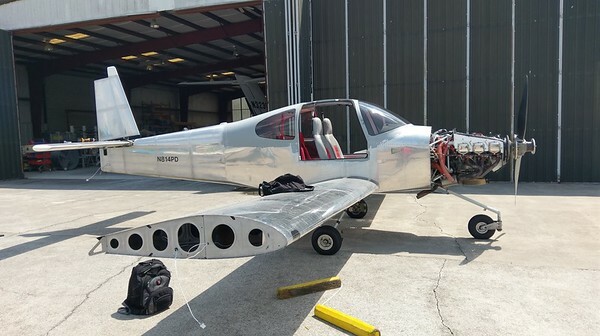 My step child, N814PD, recently got a paint job. I went up to Cartersville to help disassemble it for painting by the masterful Don Smith. 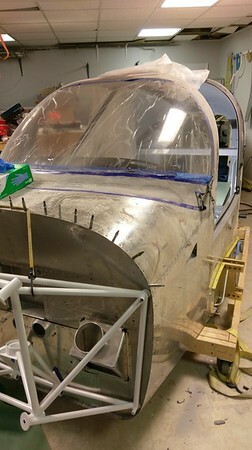 I put in probably 500 hours finishing the panel and airframe on this bird so its great to see her get all prettied up. Our friend Kyle lives 5 minutes down the road from us. He was one of our Tech Councilors while we were building. 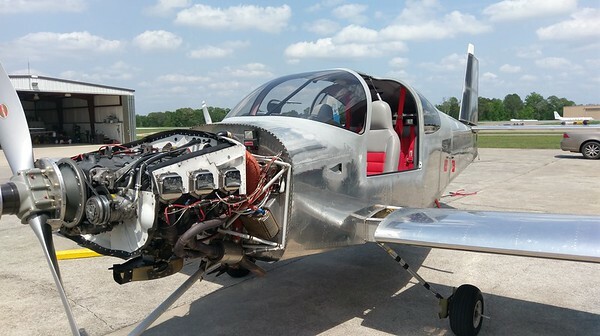 He has had an RV6 for over a decade. Periodically I go over and help him with his RV10 that he is building. Its been great seeing such quick progress and also the very high quality build that he is doing. 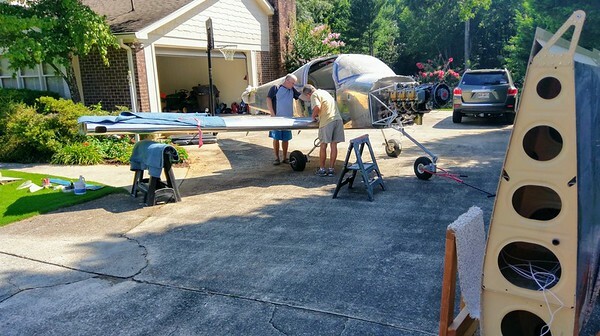 Recently was the exciting event of working on the airplane in the drive way, which causes neighbors to stop and check it out. 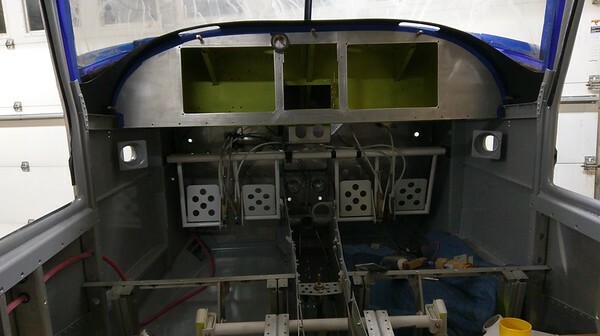 Kyle was fitting the wing root fairings and the gear leg fairings. I'm excited for him to be flying soon! Here are some shots of other stages of his progress. I have good friends who live in Ohio and Lucy and I went to visit them this past weekend. Lucy had a blast and even got to ride up front for the whole trip there and back. 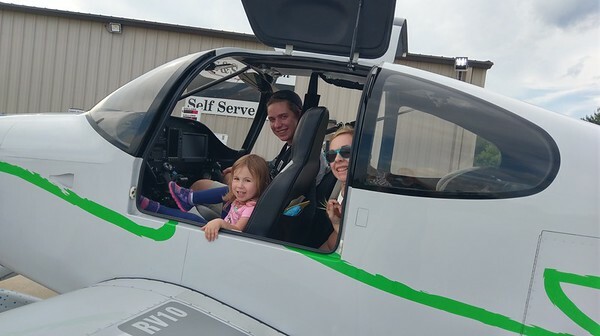 She even got to fly a bit, which she loved! 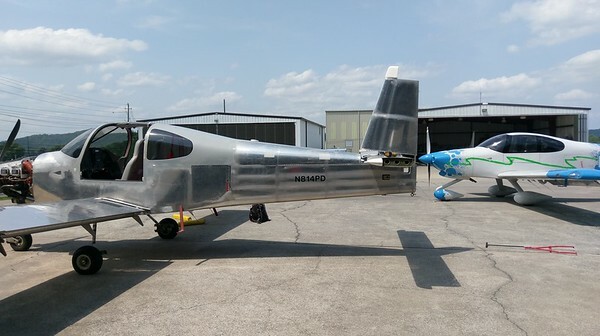 Ever since building the RV10 it has been on my bucket list to do awesome camping trips with the plane. When Lucy came around, that desire was amplified, as I have great memories of camping as a kid. I went looking for fields suitable for camping and stumbled across a website that had exactly what I was searching for. TheRAF.org is an amazing organization, which I ended up joining! More on that later. I found Creighton Island as a possible destination and arranged to fly in there for a camping trip with the fam. What a beautiful destination with gorgeous live oaks laced with Spanish moss in true Savannah like style. We flew in to the ~2000ft grass strip, which was freshly patched for holes that the local cows like to dig up! 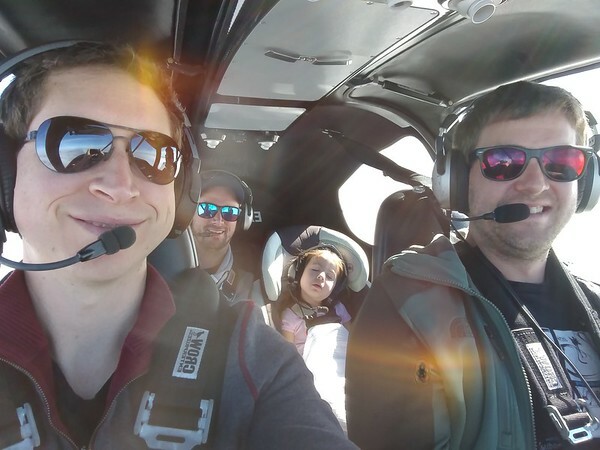 Our good friends Lenny and Anda also flew their -10 in along with their dog, Radar. We met up with the owner of the island along with Eric, State Ambassador for the RAF, and they showed us around and got us settled into camp. 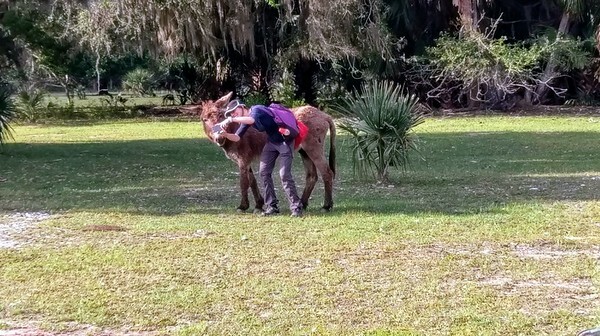 Part of the welcoming crew was Willie, the elder donkey of the island. Lucy is a voracious eater, and as such her favorite part of the entire trip may have been the discovery of wild blackberries, which she enjoyed very much. We camped out two nights in a bunkhouse that was located at the campsite, complete with great amenities like hot showers, and a pavilion with sinks! Not exactly roughing it. The weather was perfect with a nice light breeze and about 58 degree nights and upper 70's during the day. Between all the good company, food, weather, and landscape, it was tough to leave. 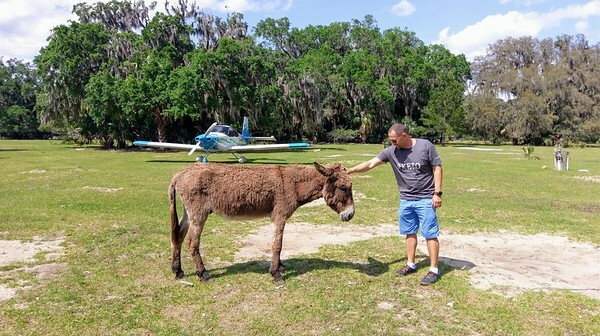 Brandi said her final goodbye to Willie with a selfie, then Lenny said his goodbyes, and off we flew... to get breakfast in St. Simon Island, just a quick 10 minute flight away! What a wonderful way to travel around to islands. We said our goodbyes once again to everyone and enjoyed a peaceful trip home Sunday afternoon. This was one of the most enjoyable trips we have taken and I'm thankful to the owner of the island for allowing visitors to come and stay and play on the island, and to the RAF for maintaining the field. 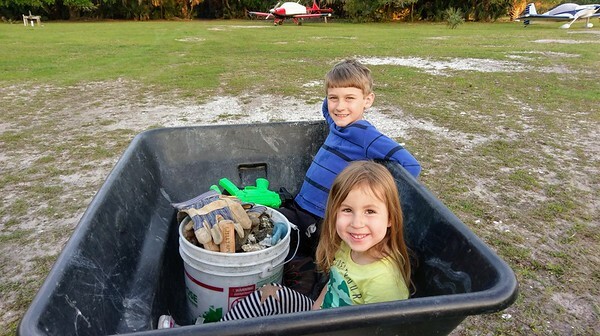 We flew down to Lakeland, Florida for the first time ever to attend Sun 'n Fun. Its kind of crazy that we've never been before, since we have done Oshkosh like 7 times in a row. Seems like something always came up in April that would cause us to delay SnF for yet another year. We got to the airport around 10am to launch and discovered a dead battery, which delayed us for a couple of hours while we got a bite to eat and visited a nearby park. I had drained the battery a little during maintenance I had previously done, plus I think we have the tiniest bit of parasitic drain on the battery. I need to track it down. After some charging, we hopped in the plane and off we went. Once we launched, we had nice 20kt tailwinds and a pleasant 2 hour flight down there. We climbed up high and Lucy came up front with me and had some stick time. She did great! I asked her to "go that way" as I pointed to the right, and then to the left. I had to remind her to be GENTLE for pitch control though as mom was in the back going "OK thats enough!" lol. Since we wernt familiar with SnF, we didnt realize they dont typically allow arrivals until an hour after the airshows, so we diverted to Bartow field nearby. It was a nice pit stop and Lucy chowed on some popcorn as we hung out in the FBO. Finally we made it into Lakeland and it was a non-event. I was instructed to land long on the 'orange dot' and I did well to hit the mark, which is always fun. We parked, setup our tent, found something to eat, walked around a little bit, and enjoyed the night time airshow. Lucy sat in my lap as we watched the fireworks and lights on the airplanes. We called it a night pretty early after that since we were all tired. It was a little chilly! We bundled up, but I think the wind was more than we expected. I kept waking up and putting the blanket back on Lucy, but I think she slept great all night and wasnt bothered by the cold one bit. The next day we explored the area a bit more and let Lucy play on the bouncy castle area. 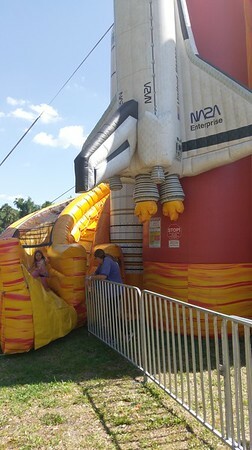 They had a really neat two story slide shaped like a NASA shuttle. 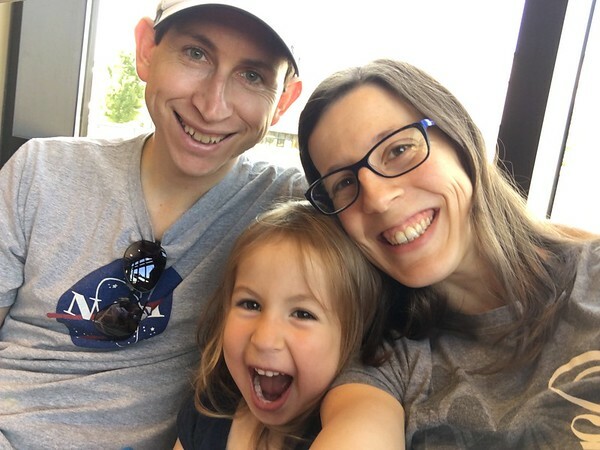 We ate some junk food, checked out some war birds and vintage singing, lounged around our airplane, and just enjoyed a really sunny and relaxing day. There was a really great home builders hospitality tent in the area we were camping and they had food, drinks, and good company. 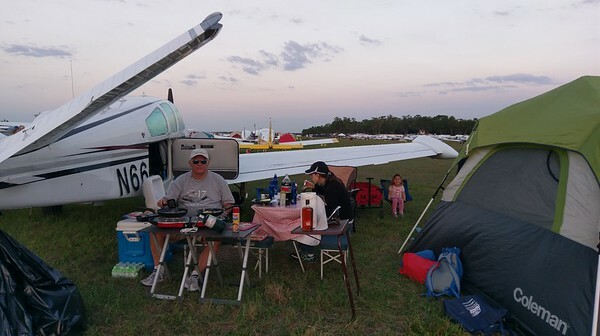 We found out our good friends Dan and Janell had flown in with their Bonanza, so we met up with them later in the day and decided to join them for a campsite cookout they were doing at their plane. They got a bunch of groceries and we enjoyed a wonderful meal with them. Lucy crashed in Brandi's arms once the sun set down. We sat around chatting for a while longer and I really enjoyed all of it. My watch tracked a lot of steps we took that day, but it didnt give me any credit for the several miles that I carried a 40lb toddler! I should add a new workout mode to my watch perhaps. We were beat by the end of the long day and slept super well that night. We woke up, ate some breakfast, and began to pack up the tent. 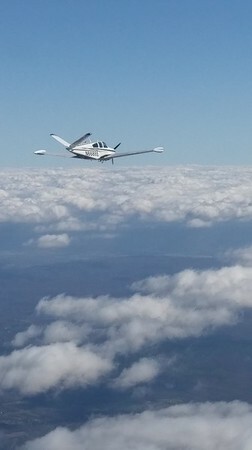 We left the area for home and enjoyed a nice flight back with about 9 kt tail winds home. I love it when we can get tailwinds both ways!! It was a good trip. Smaller scale than Oshkosh, but still a lot of the same type of fun and experience. Lucy was wore out on the flight home from all the excitement lol. 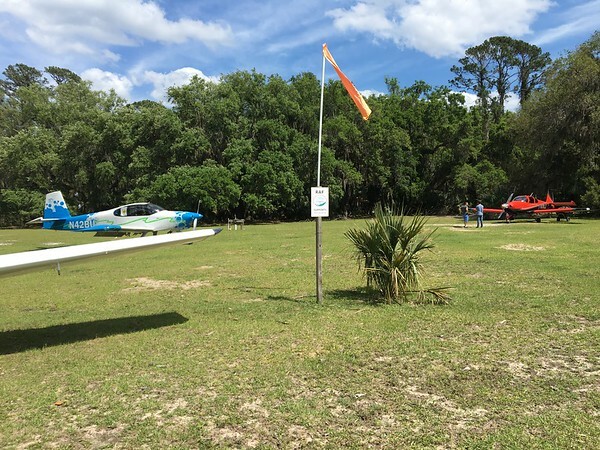 We flew the RV-10 down for a day trip to watch the Falcon Heavy launch. Incredible!! 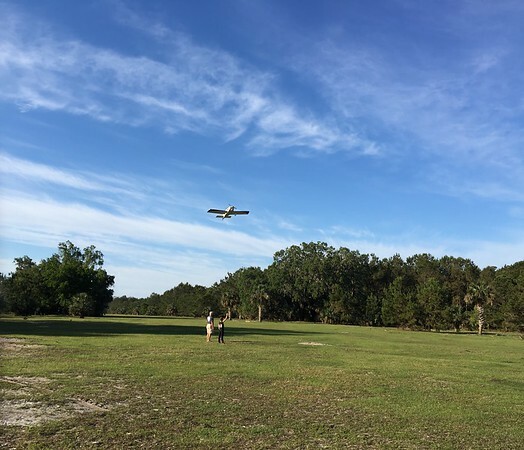 Dan took off and I observed from my plane mid-field to make sure no smoke or oil issues, he did a fly by and then I joined up with him in a close formation as I observed for any problems. No issues, so we continued on home. It was fun getting in a little formation work as I havent done it in a while. 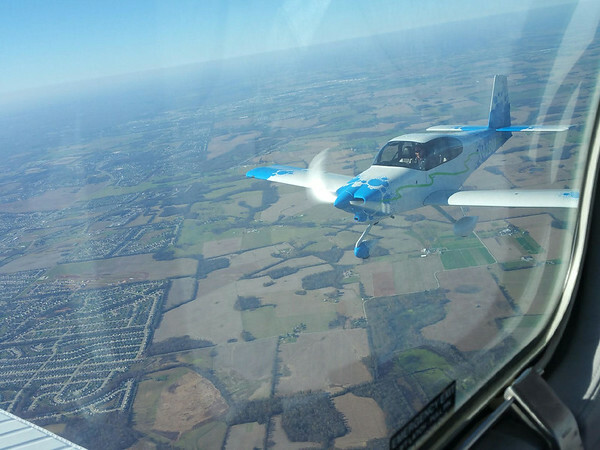 Recently my friend Justin, who is working on his PPL, wanted to go flying and so we did. We scooped up another friend, Ryan, and baby Lucy and off we went. We flew through the North GA mountains over some very scenic fall leaves and ended up at KGMU, Greenville Downtown. They have an excellent restaurant and aviation themed playground there. 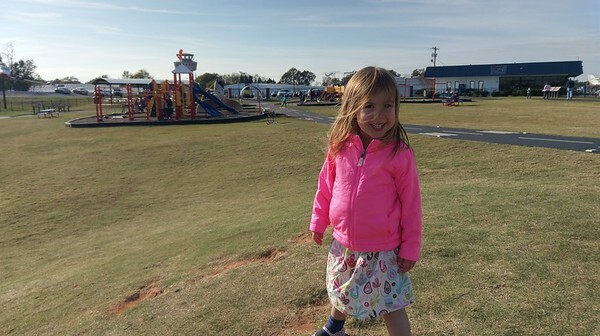 Lucy loved the playground. We did a touch and go at 9A0, Lumpkin County, which is always a favorite airport of mine to land at. Hurricane Nate survivor, Bubbles, was parked in Vic's beautiful hangar in Malards Landing. Brandi, Lucy and I all drove down to pick her up. What a treat when we arrived, we saw Vic and a friend of his doing formation flights with the Stearmans. 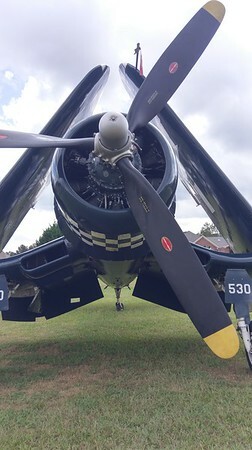 Also, just parked out in the grass near his house was a visiting Corsair. Shesh! Vic has a business, Base Leg Aviation, by the way. Check it out if you ever need anything aviation related, especially RVs. 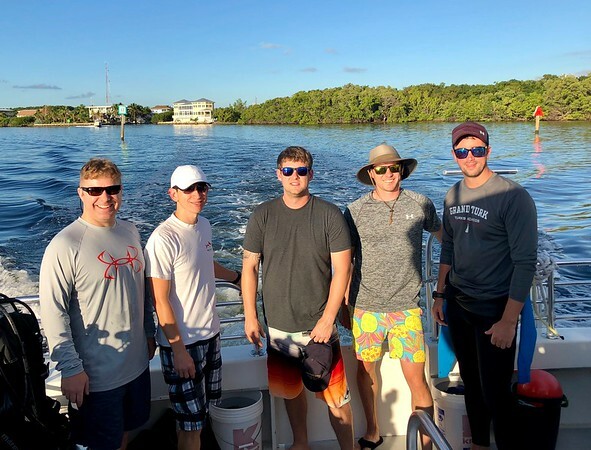 A Falcon Squadron friend, Bill Gilmer, bought a 39' Catamaran in Belize and asked the squad if anyone wanted to help sail it back. I jumped on the opportunity quick as it sounded like a blast! 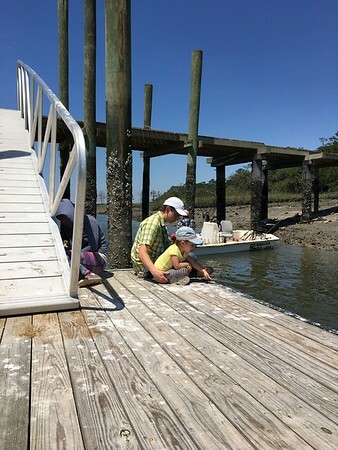 I had never been on a sail boat before, but I figured i could learn and help out in other areas too. 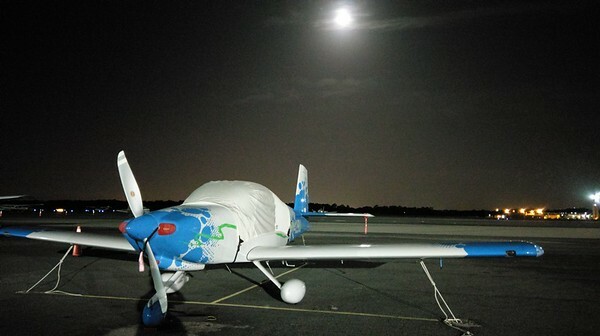 I flew Bubbles down to Pensacola International at about 3am in order to catch my 6am commercial flight to Belize. It was nice arriving so late/early? and it was nice not having to deal with heavy [air] traffic. I tied down Bubbles, snoozed an hour in the pilot lounge, and then off I went. As fate would have it, hurricane Nate spun up just South East of us and we waited it out an extra couple of days in San Pedro island in misery (scuba diving, walking around the city, enjoying drinks and dinner, etc). 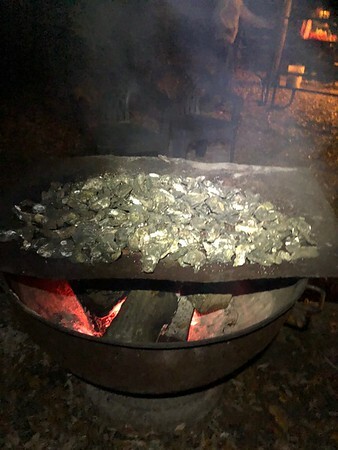 Brandi had to organize a rescue mission for Bubbles since Nate's landfall was going to hit Pensacola and the FBO wouldnt commit to hangaring us. Our amazing squadron mates sprung into action and rescued our plane. Thank you so much Scott, Mark, and Vic! 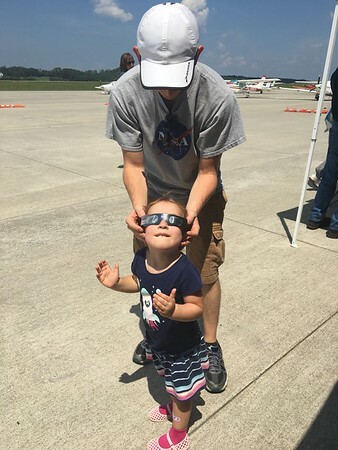 We were extremely excited to see the total solar eclipse so we flew to Cleveland, TN airport KRZR. We got there early in the morning because we thought the airport would be swamped, but it turned out to be a decent size crowd but not over crowded. 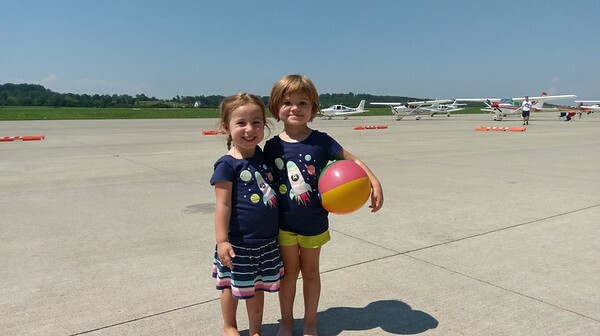 Lucy made best friends with a little girl that just so happened to have the exact same shirt as her. 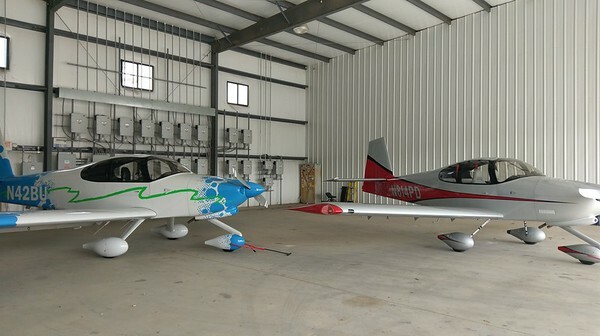 Two aviation friends of ours ended up coming to RZR to watch the eclipse, plus we by chance ran into Don Smith, who was the one who painted our plane. Joseph Chambers and his family came out in their 182, and Bill Tomasson and his son flew their -10 out. 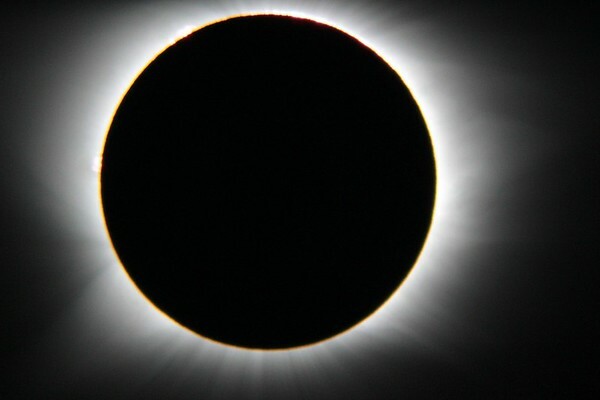 The eclipse was breathtakingly beautiful, awe inspiring, and more. It was a great family adventure and left us with great memories. We plan on flying out to TX or somewhere for the next total eclipse in 7 years or so. 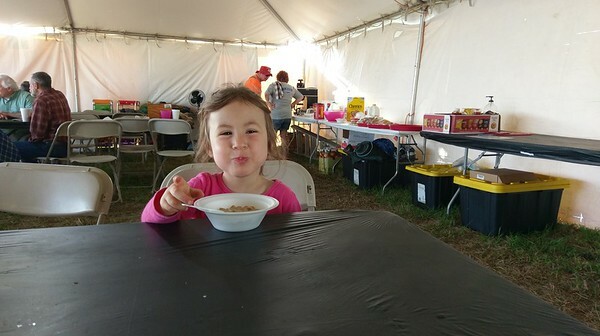 We enjoyed our 7th in a row EAA Airventure in Oshkosh. Its striking how each time has been unique. This year's twist was that my Grandparents drove their RV Camper from Tucson up there and met us for the week. Staying in the RV instead of a tent was nice, although tenting near the plane is still a wonderful experience that we wont dread going back to in the future when having the RV around isnt an option. As Lucy gets older each year its more enjoyable to share the experience of it all with her. She really enjoyed spending time with the other kids there, Kidventure, and just the excitement in general. If a picture speaks 1,000 words then here is a brief photo/video compilation, which speaks volumes. 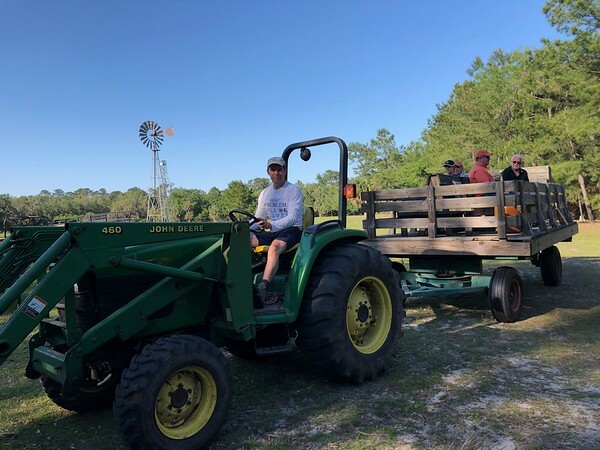 We recently flew a few laps around the lake for some joy riding. 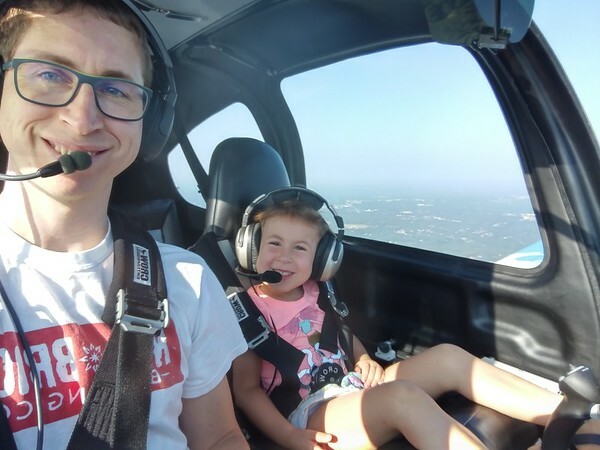 My sister wanted to fly around and show her boyfriend the plane, so we did! 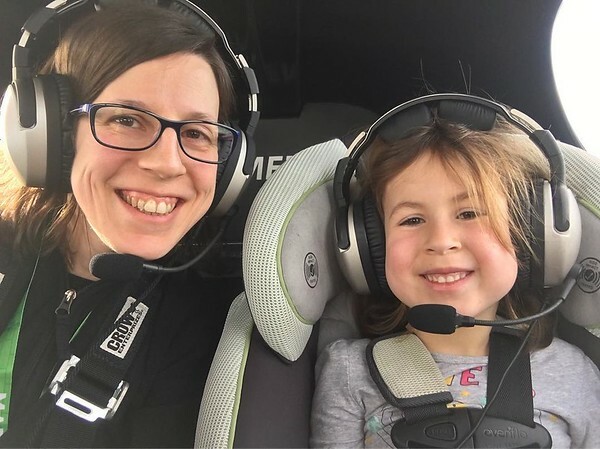 Lucy tagged along with and upon take off was squealing into the mic with joy "Yay, we're flying way up high in the sky!!!". We had a great time. 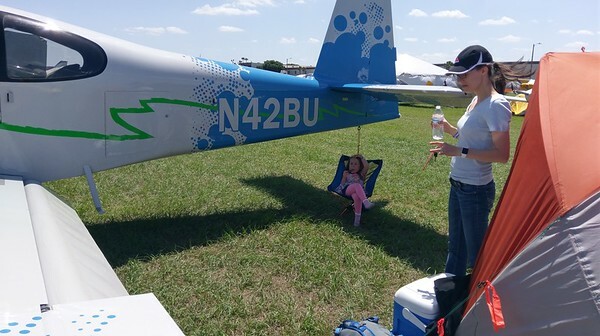 Lucy wanted to fly the leg home after the fuel stop, but she isnt instrument rated, so I had to tell her no this time.